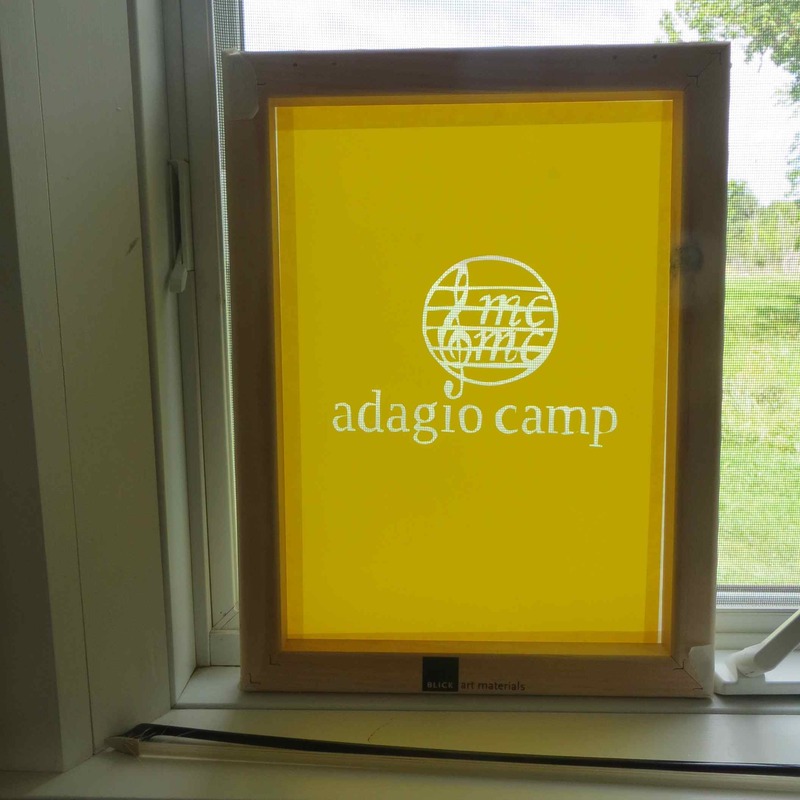 This year at Camp Adagio at MCMC we will be printing our own t-shirts, so bring a favorite solid color t-shirt on the first day! I had a fun time this morning working on the logo and figuring out how to transfer the design to the screen. We are ready to ink!